BOOK A REPAIR SERVICE NOW! Repairing Care is a leading door to door service provider Company, We Provide all type of service and maintenance of Home appliances products. We have very good satisfied client list and we deliver the services very quickly and efficiently. 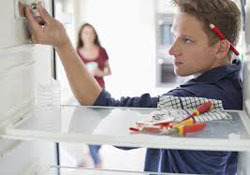 Repairing Care Provide Well qualified engineers of home appliances repair and maintenance. 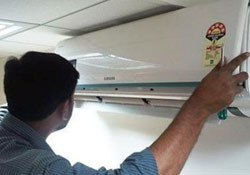 We are proud of our support team who make us successful in industry of AC Repairing, Washing machine repairing, Geyser repairing, Refrigerator repairing , Microwave oven repair , Water Purifier repair ,LED TV repair, Plasma TV repair and Maintenance with utmost satisfaction of customer. We are providing quality Repair and service in delhi , Gurgaon , Noida , Ghaziabad , Faridabad . The prime area for Repairing Care are Gurgaon : dlf , dlf phase 1 , dlf phase 3 , dlf phase 4 ,dlf phase 5 , Sohna road , south city , Sushant Lok , Badshahpur , Basai , fazilpur , IMT , Manesar , Dundahera , khandsa , Patel Nagar , sector 43 Sector 44 , Sector 45 , sector 46, sector 56 , Sector 57 , sector 48 , sector 49 , Sector 15 , Sector 7 , Sector 4 etc. Delhi : South delhi , East delhi , West delhi , North delhi , Rohini , pitampura , dwaraka , vikashpuri , janakpuri West, janakpuri east , Dabri , Uttam Nagar , Subhash Nagar , Tilak Nagar , rajouri garden, karol Bagh , Rani Bagh, bindapur , Nagafgarh , Kakarola, Ramphal Chowk , Gagan Vihar , Preet Vihar , Madhu Vihar , Paschim Vihar , Mahavir Enclave , Vijaya Enclave . Noida : noida-extension , noida sector 18 , Sector 03 , Sector 15 , Sector 62 , Sector 63 , Mamura , Greater Noida , Anand Vihar , Botanical Garden , Buddha Nagar . Amazing service ! Repairing Care Provide you best Led TV , LCD , TV Repair at you Place with very fast and Professional service with genuine Charge . Washing Machine would not run in rise and the spin cycle. Repairing Care recognized the problem immediately, had the part available and had the the part on hand. Part was replaced within 30 minutes for a reasonable price (I believe) and the machine runs fine now. I had a great experience with Repairing Care .The owner performed a tune up on my AC system. He was really knowledgeable, friendly, and gave me some pointers on how to keep my old ac running more efficiently; like maintaining the vents and changing the filters. Repairing Care is extremely reliable. They come just when they tell you they’re coming. They fix the problem quickly at a reasonable price. I would definitely recommend them. Repairing Care is a fastest growing Home Appliances repair & Service company serving a huge clientele all across the Delhi/NCR area. We are highly committed to providing you with the high quality repairing available. If any of your Samsung, Videocon, Whirlpool ,Panasonic, LG , Sansui , Bajaj , appliances stop working? 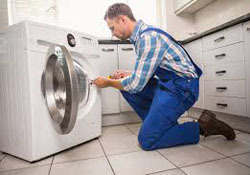 You need fast appliance repair at your place ! Looking for Solution Call Expert Now!